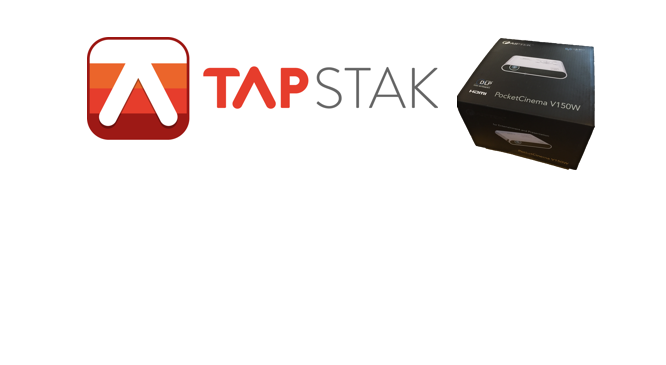 TAPSTAK Pocket Cinema Competition Winner Announcement! We are delighted to announce that the lucky winner of our TAPSTAK Pocket Cinema Competition is Sophie Walker. Congratulations Sophie! Sophie has won a stylish AIPTEK PocketCinema V150W projector that offers the best cinema experience in a compact pico projector that can fit right in your pocket. We’ve still got three great prizes up for grabs on TAPSTAK mobile so make sure to download now on Apple or Android and check the STAK listing. Entering is as simple as tapping a button! Want to hear about new competitions on TAPSTAK?